A vast array of visuals designed to impress! 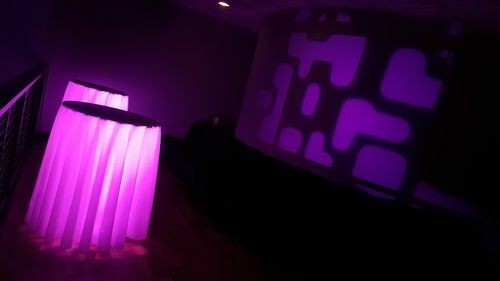 When used with translucent white fabrics, such as cocktail tablecloths, battery powered uplighting set to your choice of colors are used to adorn background areas of our venue that demand to be explored by your guests, such as the balcony lounge on our mezzanine, or on our back deck at night. Either are included at no added cost to couples who upgrade to Dramatic Lighting Decor. 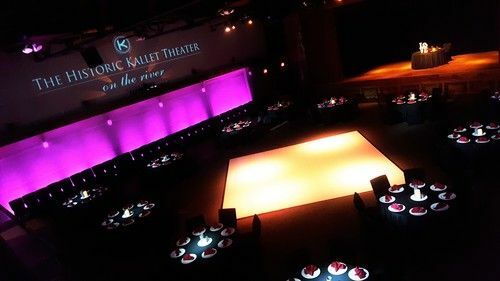 Up to 20 subtle spotlights installed overhead, specific to your floor plan, granting soft illumination for guests as they dine, highlighting centerpieces, and greatly enhancing photos taken at your sweetheart table or wedding cake, preset to your liking at up to four levels of brightness. 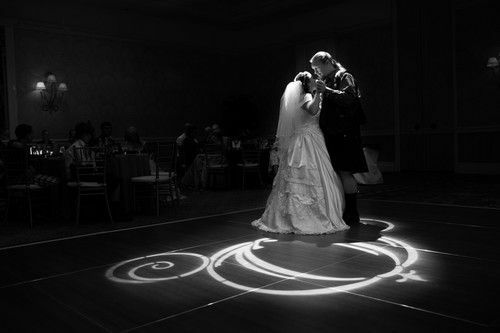 Whether an open lens or used with a custom-fabricated gobo (see pattern projection above), this high-powered spotlight in your choice of any 8 preset colors, including white, is manually operated to follow you during your grand entrance, first dance, or when a guest of honor appears on stage for a speech. The applications for this effect are endless and can be used as often as you see fit for a flat-rate which covers the cost of our technician for the day. 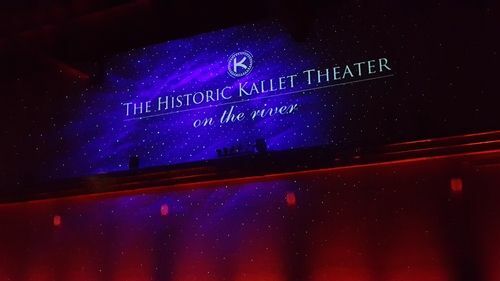 Available by request, we can install decorative elements you provide, arranged any number of ways from key points in the high ceiling of our ballroom - over 25 feet high! Quotes are determined by the scope and complexity of your desired effect, which includes insurance for items suspended overhead. In the picture above, white oriental lanterns have been accented by our dramatic lighting decor for a wildly colorful effect over the dance floor. The secret to amazing atmospheres is the right selection of lighting effects at the proper time. 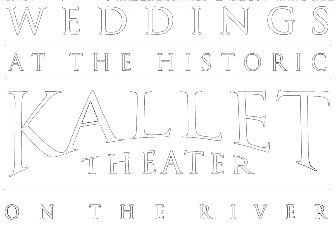 That's why we give you a lot to choose from -- so that no part of your reception looks or feels stale - not even for a minute - and so that every wedding we host looks starkly different from the last, guaranteeing a truly unique experience for each of our clients and all of their guests!